Norbert Cilia receiving his Diploma from Dr Coleiro Preca in the presence of Godfrey Pirotta and Stephen Calleya. The Honorary Consular Corps held their annual reception at Villa Arrigo, Naxxar. 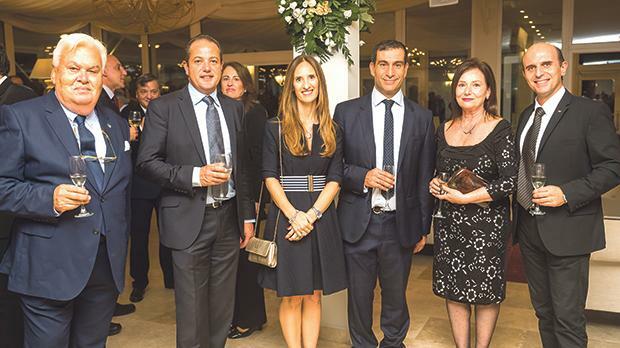 President Marie-Louise Coleiro Preca and Michael Farrugia, Minister for Home Affairs and National Security, were among the many guests present. Those attending also included members of the Diplomatic Corps and Ambassadors in Malta. The Honorary Consular Corps, established in 1995, is composed of 60 members. Honorary consuls general, honorary consuls and honorary vice-consuls accredited to Malta and representing their respective countries form part of this association. Since its establishment, the Honorary Consular Corps has organised several events and participated in many activities of a social and humanitarian nature. In 2011 Godwin Bencini, honorary consul general of Slovakia, was elected dean of the Corps. 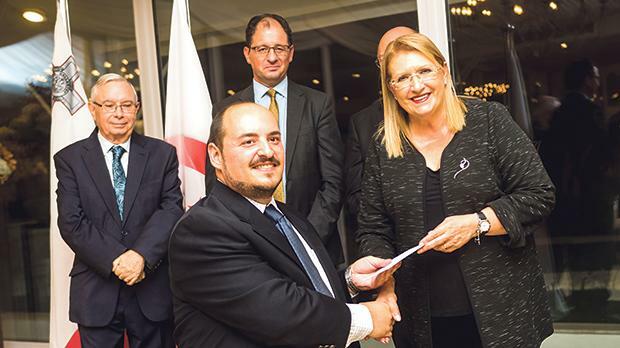 Dr Coleiro Preca presented the Honorary Consular Corps Prize to Norbert Cilia, a student of the Mediterranean Academy of Diplomatic Studies (MEDAC) for obtaining the highest grade in the thesis component of the MA in the Diplomatic Studies course. The Honorary Consular Corps Prize is awarded annually to the top student at the academy and is viewed as the contribution of the HCC towards the development of professional diplomats. Harold Ellul-Mercer, Miguel Bonello, Annabelle Bonello, Matthew Sullivan, Hilda Ellul-Mercer and Karl Farrugia Wismayer.